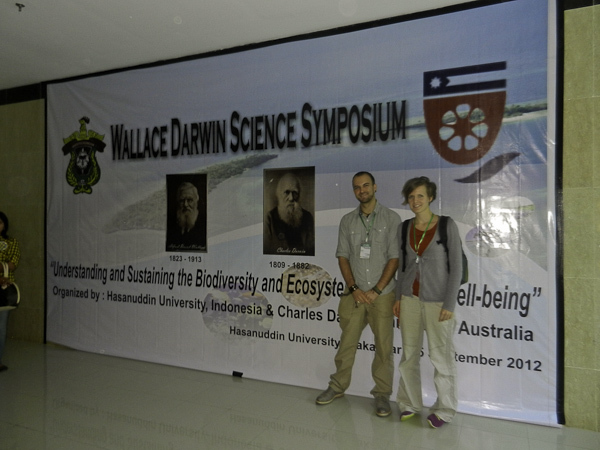 Already a month ago, we spent four days in Makassar, South Sulawesi, to attend the Wallace and Darwin Symposium, which was hosted by the Hasanuddin University (Indonesia) and the Charles Darwin University (Australia). Celebrating the scientific legacy of famous naturalists Alfred Russell Wallace and Charles Darwin, the conference focused on the ‘Wallacea’ region: one of the most biologically richest biodiversity hotspots in the world with a high level of endemic species (terrestrial, marine and freshwater). Increasing unsustainable development, population growth and climate change are major problems within this region, as they threaten the unique biodiversity as well as the livelihoods of human well-beings, thus the symposium not only reflected upon this wondrous diversity of life but also encouraged discussions of how to preserve it. Our excited arrival at the momentous gathering! Different traditional dances and the amazing performances of the students’ choir built the frame of the conference and the students did an incredible job with the realization of the whole symposium! We were really impressed by the variety of stakeholders and the number of different topics that were presented during these three days. 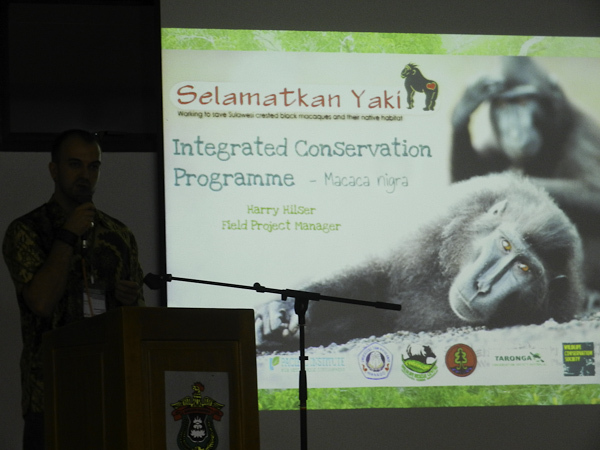 The symposium included scientific research, education and conservation projects as well as industrial developments and it was a fantastic opportunity for Selamatkan Yaki to present our programme to the international audience. Spreading awareness to the international audience. We met many interesting and lovely people, who are doing inspiring work in this region. Hopefully, we created a new network and made a start to build new partnerships between different organizations to work closer togetherand to share experiences and ideas how to preserve this beautiful and unique region. We also met Christina and Monica Carosi, who are working for a research project on another macaque species in Sulawesi, the endangered Macaca maura, whose natural habitat is in the south of Sulawesi. Hopefully, we will have the chance to collaborate with them in the future and maybe together we can found a new alliance for the protection of the macaque species unique to Sulawesi. 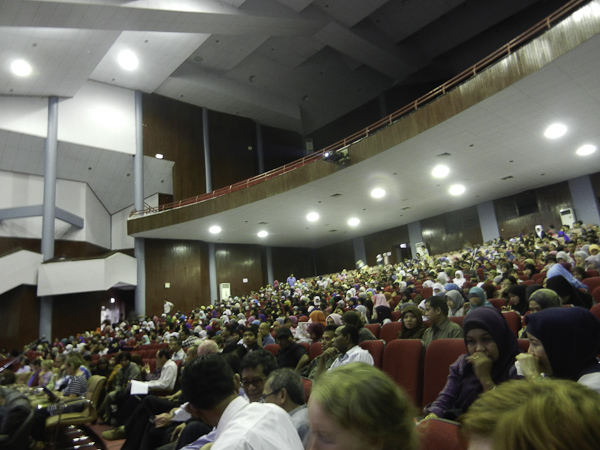 The students of Hasanuddin University did a great job by organising this enormous event! This exciting symposium in Makassar was a wonderful experience and it has been a great way forward to spreading the news and building contacts!